Arnaud: Wow! Impressive! An unique style - although a little bit reminiscent of a mixture of Italian pocketbook style, with a kind of "underground comics" style! Very expressive and emotional. 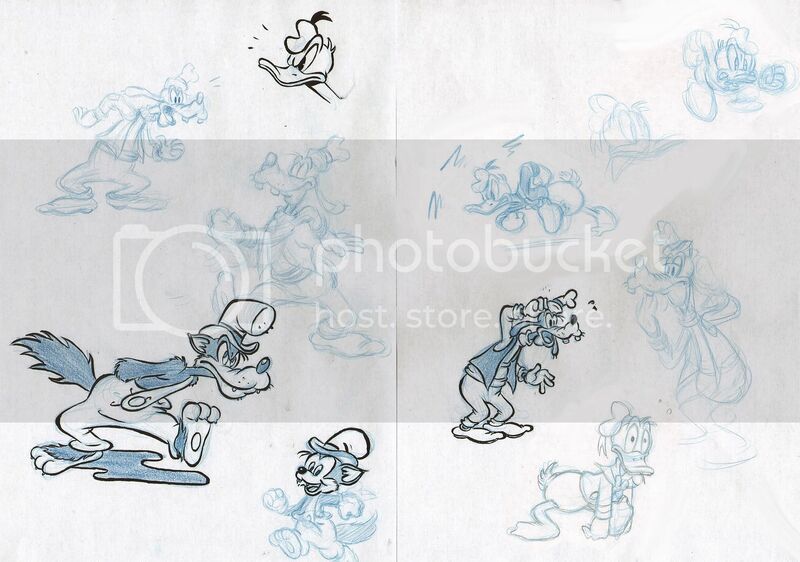 Why did they use your drawings in Super Picsou Géant? I have had several of my stories published in that magazine in the 1990s. Do you have access to second hand copies of that magazine? If so, is there any chance you could find those issues for me? Maybe I could find Dutch, US or German comics to trade for them, or just send you money? That's a funny style! Wow! A few sketches and some inkwork with an inkbrush. 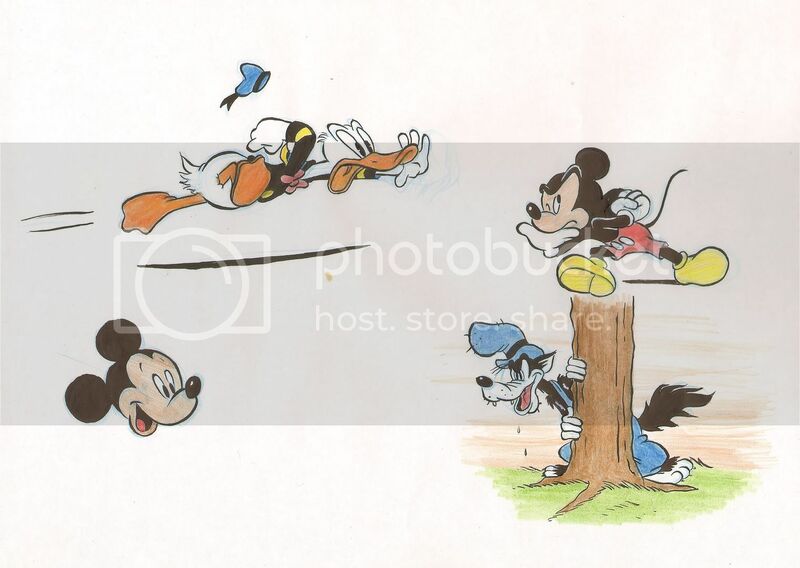 It looks like the 2nd international Disney Comics forum is a failure. No one has come. I'm afraid so.. 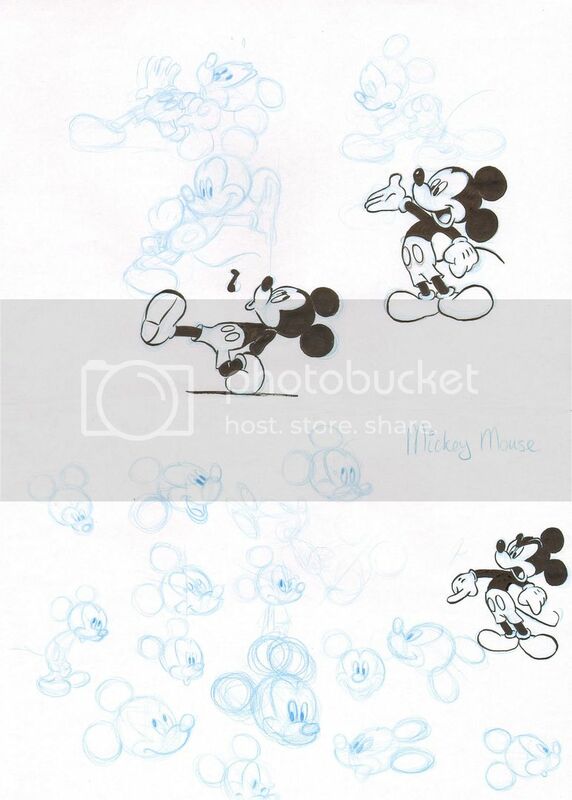 I'll post some drawings here, but it seems there's not much interest in another Disney Forum.. Too bad because I prefer the layout of this forum. On DCF it's just a long page full of different topics. On McDrake these are divided in categories, which I prefer. Much more user friendly. McDuck Menu wrote: I'm afraid so.. 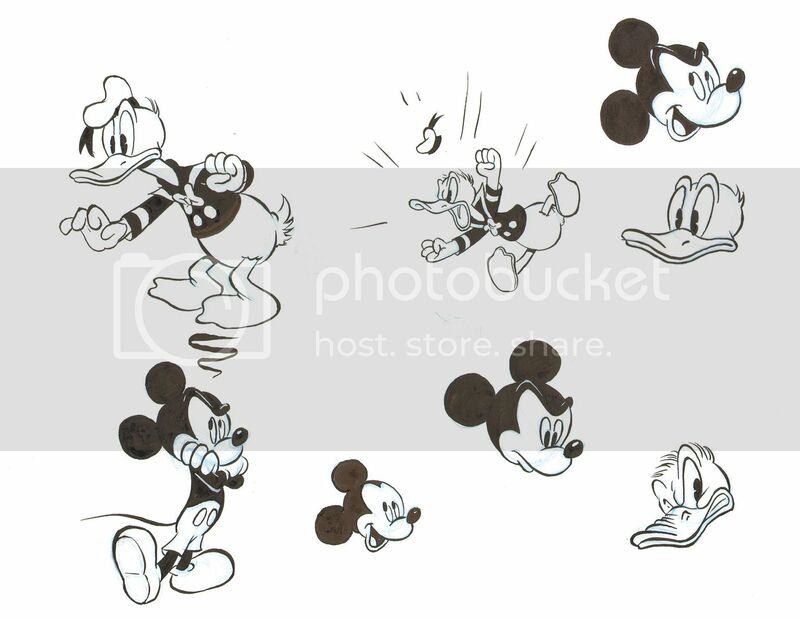 I'll post some drawings here, but it seems there's not much interest in another Disney Forum.. Too bad because I prefer the layout of this forum. On DCF it's just a long page full of different topics. On McDrake these are divided in categories, which I prefer. Much more user friendly. Very nice quality drawings. And I'm happy that we can work together on stories.